The government is planning to increase the capital of insurance companies in stages. This is a grave concern for the industry. At present for each class of insurance the capital requirement is Rs. 100 million and by 2012 the government plans to increase it to Rs. 1 billion for each class. 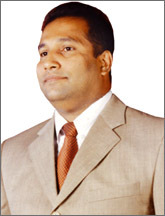 A few companies are planning to wind up or merge with other Insurance companies as they cannot fulfil the requirement alone, said CEO Lanka Orix Insurance Brokers Ltd and Council Member Sri Lanka Insurance Institute and Sri Lanka Insurance Brokers Association Sanjiv Keerthiratne. The insurance sector was liberalised in 1987 and now there are 14 players while there are 100,000 employed directly and indirectly. He said that the government is taking this measure to make the insurance companies financially sound. To check the financial soundness they don't have to increase the capital but they can do it by checking the solvency margins at any time. He said that this move will make it more difficult to attract investors to this sector. Keerthiratne said that in 2005 the whole industry was valued at Rs. 16 billion. So how can the government expect stakeholders of such a small industry to fulfil such big capital requirements?. At present there are 50 brokers and each broker's capital requirement is Rs. 500,000. It will be increased to Rs. 10 million per class by 2012. Brokers now have 25% of the market share and if this requirement is effected small players will get wiped out. The Insurance Board of Sri Lanka (IBSL) issued a 60-day premium warranty and under this system if the money is not paid within 60 days the policy gets cancelled. We the industry welcome it. But like tariff it is already being violated. Expressing his views on the recent budget proposal to make it mandatory for 50% of reinsurance business of all insurance companies to be done with the National Insurance Trust Fund (NITF), he said, that it is better to continue in the present manner rather than change to a new system. In the event we do 50% reinsurance with a national reinsurer and the balance goes to international reinsurers there won't be anything for them and they will not like it. We have to maintain their goodwill and therefore it is better for us to reinsure with international reinsurers as they will be there for us in time of need. Keerthiratne said that the industry doesn't need a professional academy supported by the government as the professional requirements are already being fulfilled by the Sri Lanka Insurance Institute. It is only a waste of resources. Co insurance is a positive sign where we also address the issue of reinsurance. It is where the insurance money is circulated within the country but there is a risk of duplication since both companies might show it as their gross written premium and it affects the industry figure.